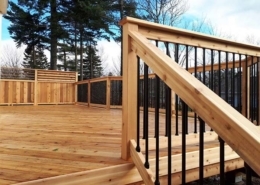 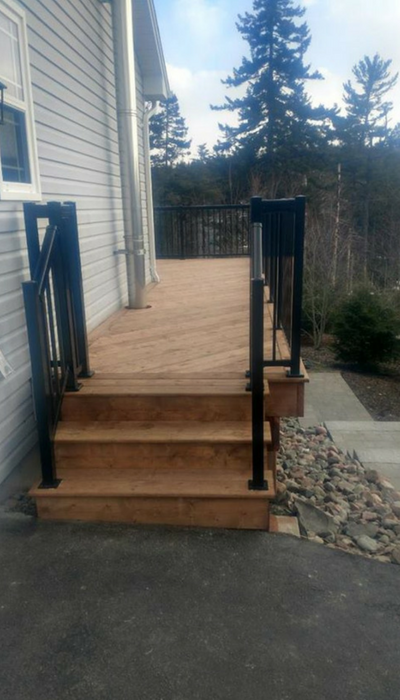 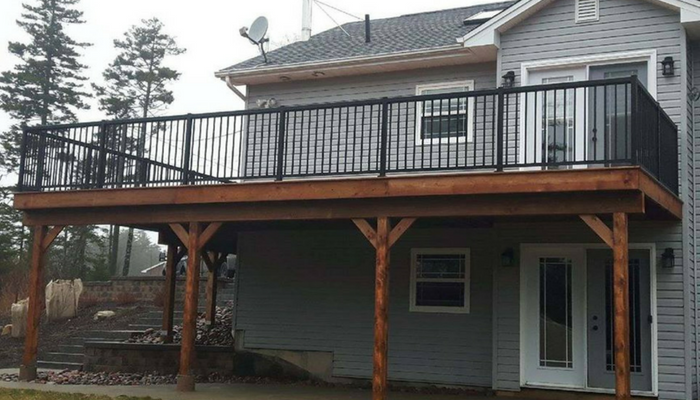 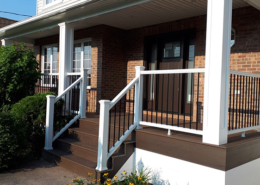 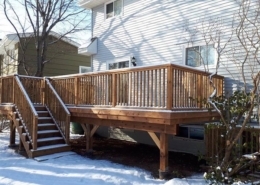 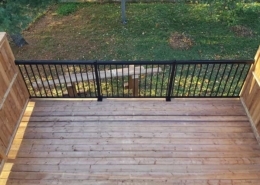 We gave this home new life by replacing an old worn out cedar deck with a beautiful new terra brown deck design that features a black regal aluminum railing! 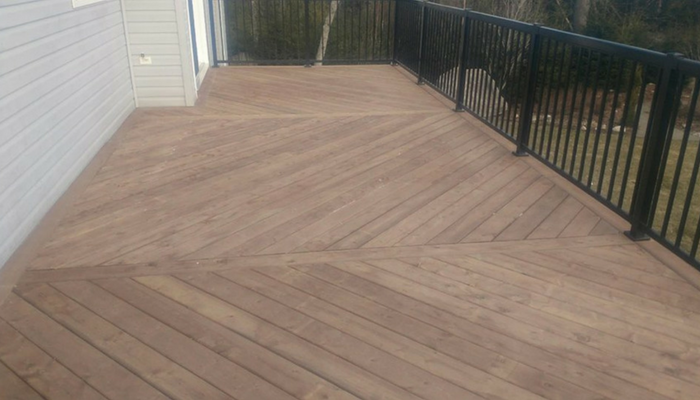 We used an alternating fishbone pattern to break up the large deck surface. 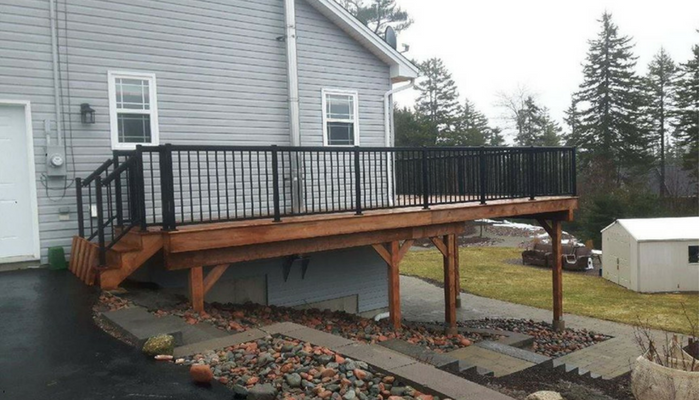 The new elevated deck wraps around the upper story of the home, creating a large patio on the ground floor that is protected from rain or shine.